When UFC middleweight Michael Bisping used a homophobic slur to insult his opponent before their Feb. 26 fight, he crossed a line. As a fight fan, I enjoy the occasional pointed barb or two to spice things up, but using hate speech sets a dangerous precedent. I wish I could say that Bisping’s slur was an isolated event. Unfortunately, over the past few years it has become increasingly clear that MMA culture is far too tolerant of homophobia. Last year, former UFC light heavyweight champion Quinton Jackson made a number of overtly homophobic remarks in an interview with the Vancouver Sun. A few months earlier, UFC President Dana White publically called a female journalist a “dyke” for criticizing the fight promotion’s managerial procedure. I don’t assume that every time a fighter uses a homophobic insult it’s meant as an attack on gays. But no matter what their intended purpose is, words have the power to humiliate and dehumanize a person. I also don’t believe that this problem is limited to the UFC. Most sports I have played foster an atmosphere that does not discourage the use of homophobia to deride someone as weak or effeminate. And beyond sports, the depiction of gays on television and in movies almost always uses harmful stereotypes for a cheap laugh. Sure, it seems hypocritical for me to be fine with two men trying to beat each other limp but to take offense when one of them says something hateful. But hey, whatever happens among consenting adults is cool with me. My problem is that Bisping’s remarks have been completely overlooked by most fans and by UFC management. If there were some kind of code of conduct in place, where hateful remarks were met with fines and suspensions, then fighters would think twice about the kind of language they use to get a rise out of each other. When a player from any other major sporting organization uses hate speech, he or she is reprimanded without question. But fines and suspensions can only slightly curtail the problem. Fans are also partially to blame here. After AOL fight blogger Michael David Smith wrote a piece opposing Bisping’s remarks, people posted comments below the article calling Smith’s sexual orientation into question. A number of posters described homosexuality as “disgusting” and suggested gays should always be the object of ridicule. This kind of deplorable attitude proves how far the sport needs to evolve if it will ever break into mainstream culture. It also gives critics more ammunition to dismiss MMA as barbaric and ugly. It also creates the illusion that most fighters are homophobes, which isn’t the case at all. 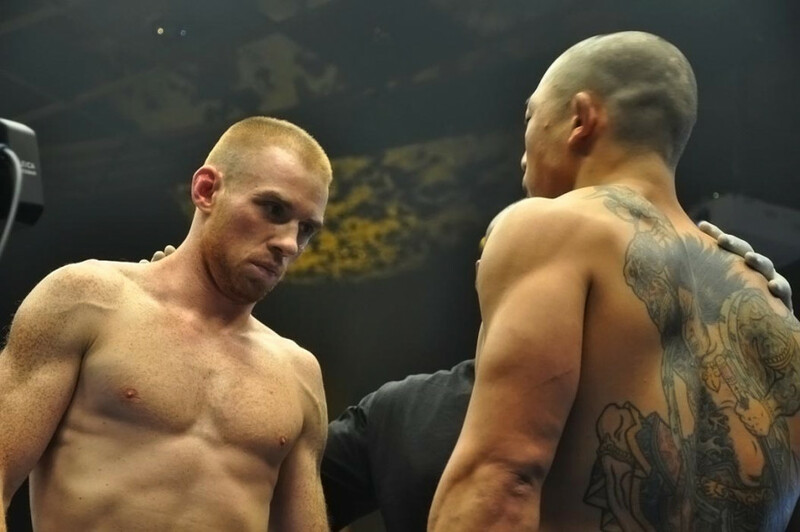 Most MMA fighters live by the martial arts ethos of respect for others and behave with dignity. In an interview with The Link, Montreal MMA trainer Firas Zahabi said he enforces a strict code of conduct with his fighters where hate speech of any kind is not tolerated. His star pupil, UFC welterweight champion Georges St-Pierre, has also spoken out against homophobia. Former champion Frank Shamrock is actively involved in an anti-bullying campaign and has also worked to fight homophobic bullying. What these athletes realize is that they are role models and, as such, they set the tone for what is acceptable and unacceptable to their millions of fans around the world.